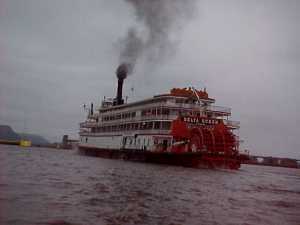 -\----There were thousands of steam-driven paddlewheelers built for the Mississippi River in the mid-1800's. They were the transportation links for commerce and passengers that developed the West. Today, we were told there are but five steamers left. 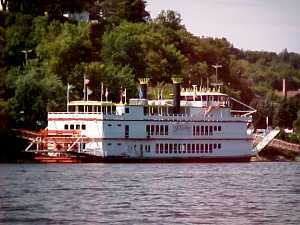 ----There are, however, many paddlewheelers still plying the rivers of mid-America today. 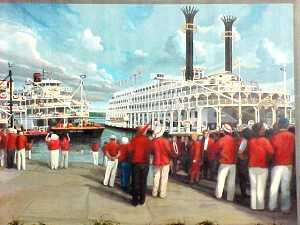 Some are gambling boats, huge casinos that seldom (or never) leave the dock; others are excursion boats, complete with Dixieland bands and sumptious meals. -----Commerce on the Mississippi River and its tributaries was largely a one-way trip in the early years of American history. Flat boats were built on the Ohio and drifted down the current, navigated by long sweep oars. Loaded with farm produce or manufactured goods they traded along the river or delivered cargo to New Orleans for shipment overseas. 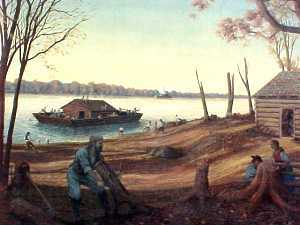 There, the wooden vessels were scrapped and the crew walked back home along the Natchez Trace. They would build another boat, and head downriver again. 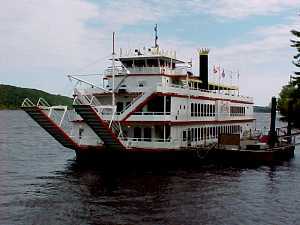 -----Robert Fulton sure started something better in 1807 when he steamed the Clermont up the Hudson River. Four years later, the first steamboat on the Mississippi was in New Orleans. 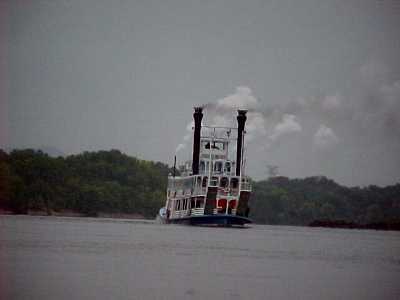 In 1817, the first steam vessel arrived in St. Louis and forty years later there were probably more than ten thousand steamboats that had run on the river. 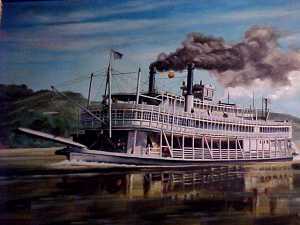 -----Since the average lifetime of a steamboat was about three years, due to fires, boiler explosions, and sinkings, there were probably no more than a few thousand active on the river at any one time. ----- Even with the losses, now goods and people could travel both up and down the rivers. The Army proved the Upper Mississippi to be navigable in 1823 when they ran a steamboat to Ft. Snelling, just outside present-day St. Paul. The population was so low above Illinois that few passengers traveled north of Quincy, Illinois until the 1840's. 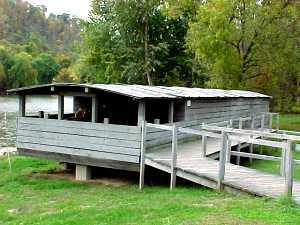 -----Farmers and woodcutters along the river banks made money selling cordwood to the steamers for $2.50/cord. An average boat would consume thirty to forty cords of wood per day. 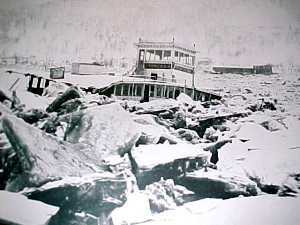 Many of the steamboats didn't stop for loading the wood, but took it aboard from smaller steam-powered supply boats tied alongside. The boats were the commercial lifeblood of the burgeoning American west, and their pilots were celebrated in song and story. Mark Twain's Life on the Mississippi was widely read in America and abroad. The competition between steamboats was intense. 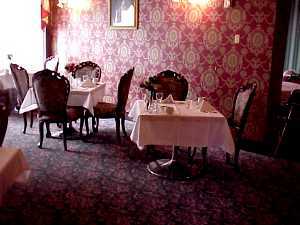 They tried to outdo each other in sumptuous meals, opulent furnishings, and speed. It was a marvelous era. 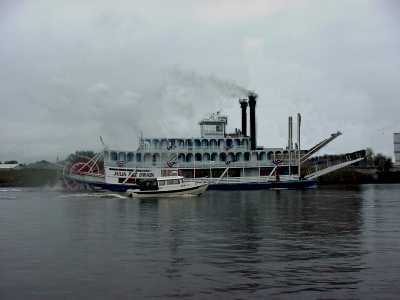 -----In the 1880's, the dominance of the steamboats came to an end. Steam was propelling railroads, and trains weren't limited by weather or proximity to rivers. 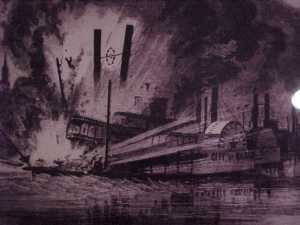 -----Rate wars between the competing steamboats and railroads were nasty. 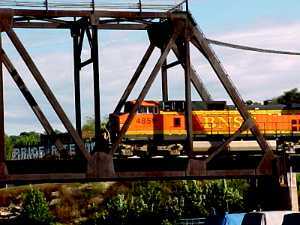 The attempt to terminate boat transportation by building low railroad bridges across rivers was blocked by the courts. Eventually the railroads were proven more efficient and less expensive, and the era of steamboating was over. River towns, their future tied to river commerce, were by-passed and dwindled. 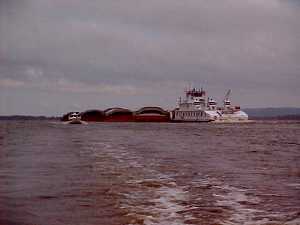 -----After World War I, tow boats pushing huge strings of barges, became active on the river. 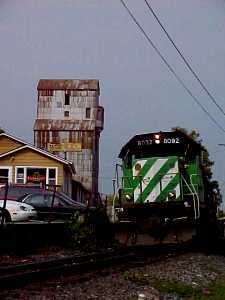 One towboat could push more tonnage than a half dozen trains could carry. 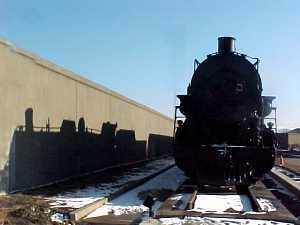 Bulk traffic that did not require rapid transit, such as sand, grain, soy, corn, and petroleum products competed with railroads. 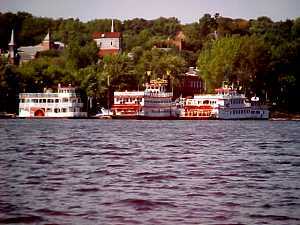 -----More recently, paddle wheelers have returned to the river. 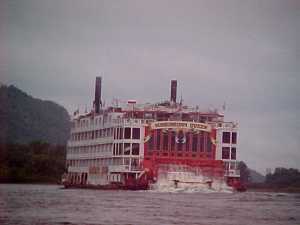 Some are managed as floating casinos while others offer vacation excursions on the river lasting from a day to several weeks.